Are you considering adding a snowplow to your truck? If you live in an area that receives heavy snowfall, a snowplow can be a great asset to your truck. Yet purchasing a snowplow is not something to do without the proper research. If you are responsible for plowing a large area, here’s what you should know about snowplows. As you begin to shop, you will see that there are a number of different price levels for snowplows, but you don’t want to go with the cheapest. Choose a quality snowplow, because low-quality plows are going to fail soon after installation. That said, you could save a little by buying a snowplow that is fit for the job. 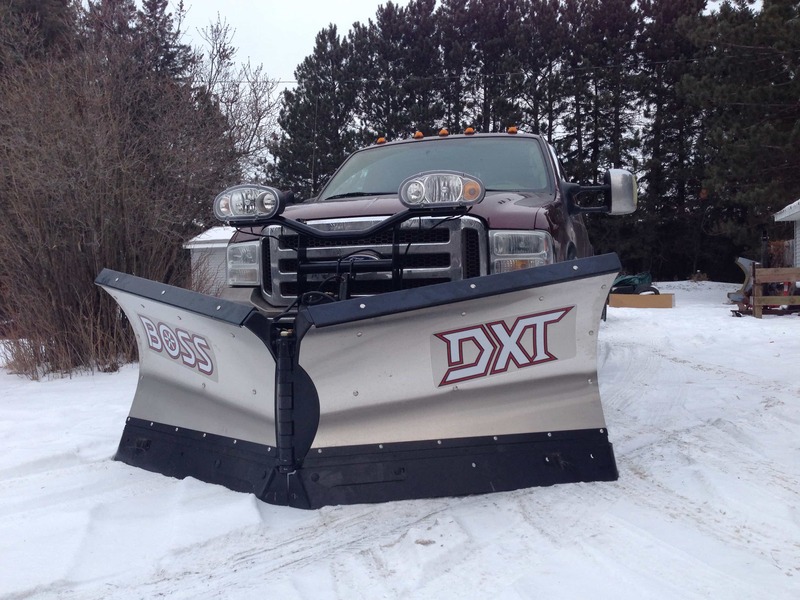 If you are going to simply be plowing driveways, a 7-foot straight blade plow will be able to do the job well. If you are going to be plowing commercially, you will need at least 8-feet. You may be able to buy snowplows online, but that’s not the best idea. Instead, work with a local snowplow dealer. The dealer will be able to assist with installation and setup, which is probably more complex than you think, and also help you maintain the snow plow if you have questions down the road. Choose a reputable dealer you can build a relationship with. You can do the job well with either a straight or V-blade plow, but consider a V-plow if you can afford one because it will stack snow more quickly and efficiently. The multi-position option helps you choose how you will direct the snow when you remove it. Also, if used in the V position, this plow will deal with hard packed snow better than a flat, straight plow. However, the V-plow will cost more. If you are working with a quality dealer, your dealer is going to ensure that the plow fits your vehicle, but you need to know what to look for. Your vehicle has a Front Gross Axel Weight Rating, and your plow must not exceed this weight. If you are going to invest in a large plow for commercial use, make sure you have at least a 3/4-ton pickup truck with a high Front Gross Axel Weight Rating. A 1/2-ton truck or even an ATV or UTV can be fitted with a plow for personal use. The controller that comes with the plow is what gives you control over it. Before you buy, take the time to practice with the controller. Make sure it is easy for you to use and understand. In this case, complex controllers may not actually be better, because they may increase the complexity of the job at hand. Visibility during snow is reduced, so your plow will come with a lighting system. Consider a dual burning system that has a high output. You want your plow to be highly visible when you are out in difficult conditions. A lighting system with a clamp design is important as well, because this prevents the lights from coming lose while working. Plows are made from poly, mild steel or stainless steel. Of these, ploy is the slickest, so snow will not stick to the blade if you choose this option. It also resists scratching, denting and corrosion. It is, however, a heavier plow, which means more wear and tear on your truck. Steel is considered the industry standard. Mild steel plows are treated to prevent rust, but eventually rust will occur. They are still durable and long lasting. Stainless steel is prone to denting and scratching, but less prone to rust. Think about the conditions wherein you will be installing your snowplow. It will likely be cold, may be dark and most certainly will include snow and grime on the ground. Make sure that you choose a system that is easy to install. Remember, your snowplow represents an investment of several thousand dollars. Do your research first to ensure you are getting one that will do the job for you. In the end, you will have a functional plow that is easy to use and control, so you can put your truck to use this winter.